Technological innovation presents immense development opportunities and has become an increasingly significant area of activity in developing countries. Digital tools have been proven to generate economic growth and help developing countries overcome a lack of various traditional infrastructures. With these benefits and opportunities, however, technological innovations bring risks. A “cyber-risk” may be seen as a risk of financial loss, disruption or damage to the economy, infrastructure or reputation of a country. This result from a damage of its digital technology systems in the face of malicious attacks. The magnitude of cyber-risks can be significant and comparable to the risks posed by natural disasters and armed conflicts. For example, during the last five years, malicious hacking caused a widespread power shutdown in Kiev, Ukraine spreading chaos in the capital and, in Bangladesh, resulted in the interception of $80 million of bank transactions. These are just two out of numerous cyber incidents to plague developing countries recently. It is crucial that cybersecurity is promoted hand-in-hand with digital development in order to assist developing countries in generating the local capacity and cyber protection institutions necessary to support the governments’ investments in technological innovation. But how we identify and understand risks to cybersecurity is a crucial component of this digital development. This technical session will bring a diverse range of representatives from government and the private sector to discuss the latest innovations and best practices to understand cyber-risk. The panelists will address the way we define cyber-risk, as well as how to identify the risk of cyber threats with the understanding that cyber risks are no longer a problem only of the developed world, but also of developing countries, which may revert to crisis conditions if a significant cyber-risk becomes a reality. 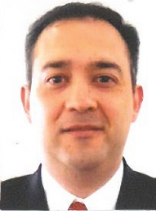 Javier Ethiel Sánchez Serra is an engineer in Electronics and Communications from the Monterrey Institute of Technology and Higher Education (ITESM), and a Master in Information Technology Management from the TEC Milenio University (part of the ITESM system). Sánchez Serra is considered a pioneer in the opening of telecommunications in Mexico, a task that covered mobile, long distance and Internet niches. He served as General Director of Information Technology and Communications at the Attorney General’s Office (PGR). He has the experience and knowledge to make the best recommendations to be effective in the management and control of Emergencies with the most innovative technologies. Sanchez Serra is a member of the prestigious Institute of Electrical and Electronic Engineers (IEEE, Institute of Electrical and Electronic Engineering), and in his professional career there are important recognitions such as: member of the winning team of the 2005 National Technology Award -in the category Large Organizations of Services- and third place in the 2015 and 2016 ranking of “The most innovative of 2016 in the Public Sector”, prepared by the publication Information Week Mexico. Horacio Martín Contreras Ocaña is the S. ICT Solutions Architect LATAM for Huawei Technologies. He studied Physics and Diploma in Corporate and Securities Finance, at the Faculty of Sciences of the UNAM, where he became a self-taught. He is also certified as Agile Project Manager SCRUM. Horacio is currently recognized as an Expert in Information Technology and Telecommunications (ICT) with more than 10 years of experience in Design of ICT Architectures and Cloud Solutions. Joined Huawei in 2015 to focus on Digital Transformation projects of Telecommunications Operators through Cloud Computing based technologies, in different Latin American countries. In other companies from the technology sector has obtained various certifications, experience and recognitions in Cyber Security, Web Development, Data Center, Cloud Computing, Software Defined Networks and Network Functions Virtualization; High Performance Computing, Analytics, and Server Consolidation.